Qigong can help cancer healing and prevention in many ways. It is know to to reduce the side effects of chemotherapy and radiation therapy. More and more cancer treatment centers and hospitals here in the U.S. offer Qigong and Tai Chi programs. Many people suffering from cancer have extended their lives with Qigong practice or with Qigong therapy. Many patients who experience chemotherapy or radiation therapy feel much better after Qigong practice. Cancer patients gain hope and light in their lives. One of my high school friends had lymphoma. The doctor told the family that she might live approximately two to three years. I visited her five years later and she was still in good health. After ten years, I saw her again. She was very well. As far as I know, only two things could have saved her life: her persistent Qigong practice and a strong faith. Qigong practice has been documented to speed recovery from surgery and other kinds of injuries. Many people in China practice Qigong after injury or surgery. They recover faster than those who do not practice Qigong. I used Qigong and Tai Chi to treat my leg that was injured a few years ago. Now my leg is all better without having used any medication. Qigong is also well known to harmonize the hormonal imbalance. Many illnesses (e.g. breast cancer) can be caused by hormonal imbalance. Chinese medicine believes that our body’s auto-regulating system allows us to be in balance most of the time. In Qigong and Tai Chi practices, deep and regulated breathing helps to harmonize the body chemicals including adrenaline, noradrenaline, serotonin and many other biochemical components. Among all stress management techniques, Qigong and Tai Chi are the best methods for stress reduction. The reduction happs so subtly, spontaneously, naturally and with only minimal effort. You just practice Qigong as a daily exercise. You will note that your life changes after a while; your relationship with family and other people improves noticeable; you feel naturally calmer, less irritable, and less anxious. You eventually find out who you are and what you really enjoy in your life. This is why we call Qigong and Tai Chi natural tranquilizers. Qigong can be used for healing of any kind of ailment if you do practice diligently. 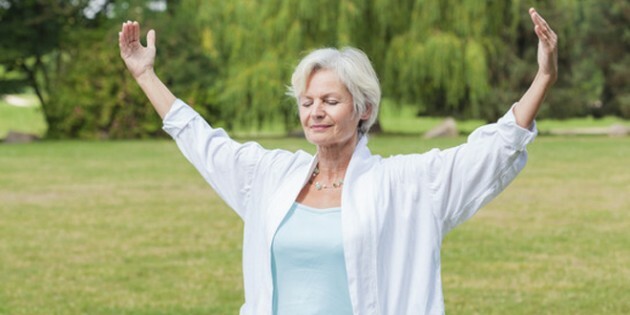 Cancer patients can especially benefit from Qigong to reduce the side effects that conventional treatments may bring and speed up the recovery process. For people in good health Qigong can strengthen the immune system and help prevent cancer. 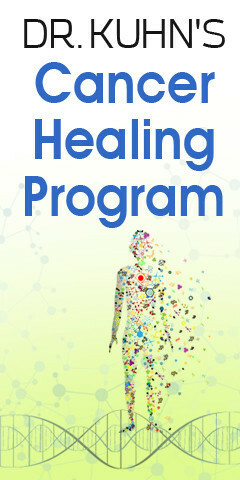 If you know some one who can benefit from Qigong to prevent cancer or promote healing, check it out.